Cell culture medium. 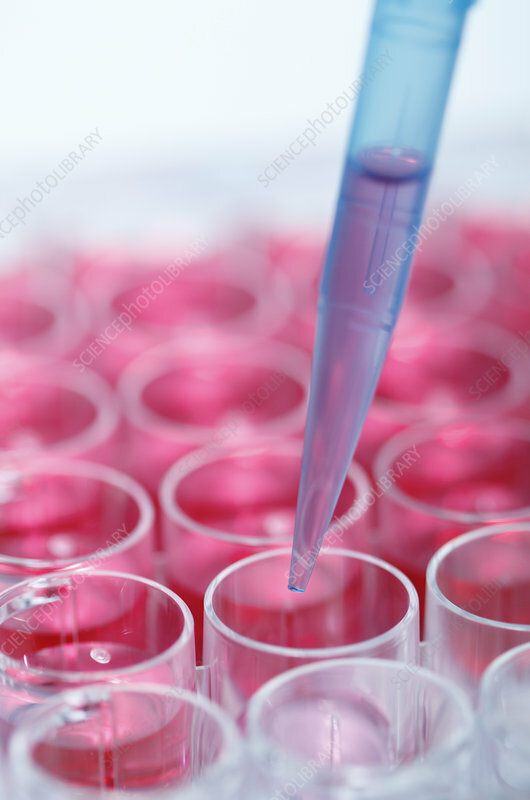 A precision micropipette is used to transfer cell culture medium (Dulbecco's Modified Eagle's medium, DMEM) to a multi-well plate. Cell culture medium (or growth medium) is commonly used in biological research to maintain and grow cells in tissue culture. Studio shot.